Make friends both on and off the page! We spend about half an hour socializing over coffee/tea and dessert and the rest of the time discussing the book. Each member chooses the book she would like to present. Each of us has our own method of presenting: most will talk a little about the author’s background, give us some idea of what the critics thought of the book, and go on to discuss main literary features of the book, the historical background or the issues that arise from the book; but the emphasis is always on getting everyone involved in the discussions and that is the most important role of the facilitator. We try to review books that are in paperback and more current – but that’s not always the case, and no genre is excluded. New members would be most welcome. Come join us. 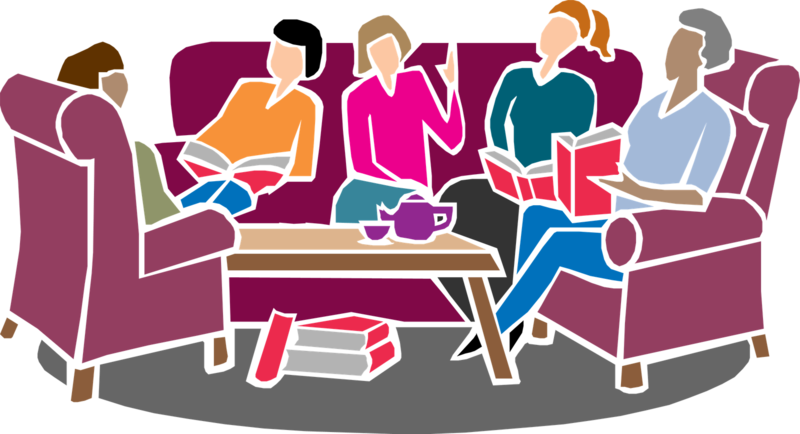 All Novel Women's Book Club Interest Group Members are asked to subscribe to the Novel Women's Book Club IG Forum to receive notice of postings so they can stay in the loop.